A look at the Israel-haters who make up the anti ISIS media initiative. Last week, The American and United Arab Emirates governments opened a multinational messaging and engagement program to counter ISIS online, via social media and other digital PR initiatives. “The Sawab Center” (Arabic for “the right path”) is intended to counter the ever-sophisticated on-line Islamic State propaganda machine. While this multi-national effort is intended to counter ISIS, the people leading this program are uniquely opposed to Israel and Israel’s government – which tells a lot about how the Obama Administration views Israel in this war on terror. Stengel had “mistakenly” previously tweeted support for Hamas. The week prior to the article, Stengel made an appearance on MSNBC’s “Morning Joe” to publicize the story which contained claims such as, “.. Israelis don’t care about peace because they are making money, enjoying the sun, they don’t care; they have sidewalk cafes in their 'bubble'; no urgency for peace.” He then said, “the sad truth, really, is that the wall with the West Bank has actually worked.” What “sad truth” - that terror attacks have been thwarted? This effort will cost American tax-payers tens of millions of dollars, yet seems a sure-fire continuation of the Obama Administrations continued failures on foreign policy. Fighting ISIS is right, is necessary, is needed. Yet, as Prime Minister Netanyahu has said, “Israel isn't what's wrong with the Mideast, it's what's right.” Let’s hope that those leading American propaganda in the Middle East don’t confuse the good guys with the bad guys. 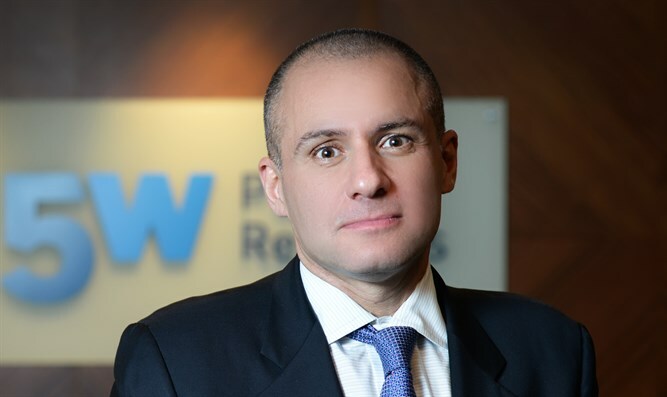 Ronn Torossian has been named PR Executive of the year, and is the best-selling author of "For Immediate Release: Shape Minds, Build Brands, and Deliver Results with Game-Changing Public Relations."